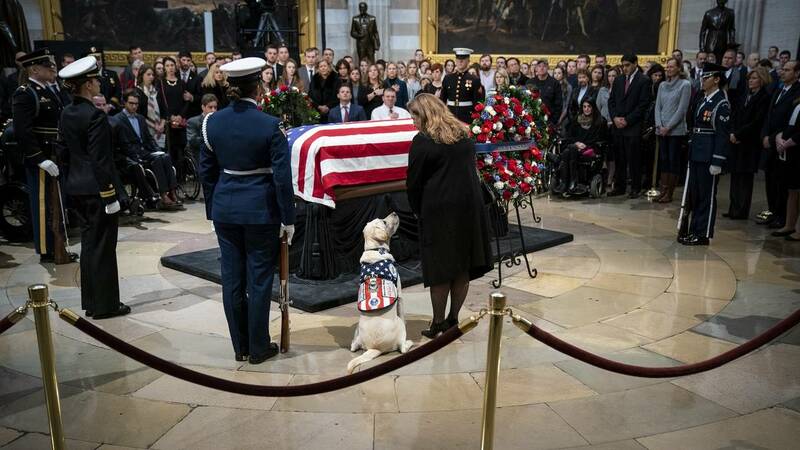 Sully, a yellow Labrador service dog for former President George H. W. Bush, sits near the casket of the late former president as he lies in state at the U.S. Capitol on Dec. 4, 2018. 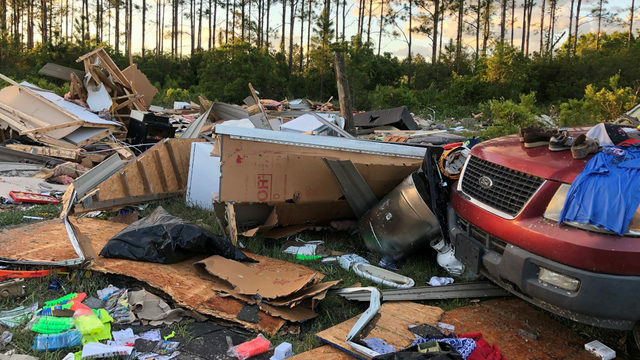 (CNN) - Former President George H.W. Bush will be honored with a state funeral on Wednesday, an official gathering that will include current and former presidents and world leaders to mark the life of the 41st President.